For folks planning a Disney World trip, you might want to make your reservations sooner rather than later. Disney World is going to start charging up to $24 per day for overnight self-parking at Disney World resorts! This change will impact reservations made on or after March 21, 2018. But until then, you can book your stay and you won’t have to pay the additional fee. So you’ll save if you book your resort stay before March 21, 2018! For Disney World resort reservations made on or after March 21, 2018, you’ll have to pay an additional fee at checkout for overnight self-parking. This move will bring Disney World in line with Disney hotels in California and Hawaii, which already charge for overnight parking. Any reservation made before March 21, 2018, will NOT have to pay the extra fees. You can avoid these charges by staying at a hotel near Disney World instead. And there are plenty of other ways to save on Disney World trips. Standard parking will still be free for guests with disabilities, and anyone staying on the campsites at Disney’s Fort Wilderness Resort. Each campsite includes 1 parking space. And day visitors will not be charged. 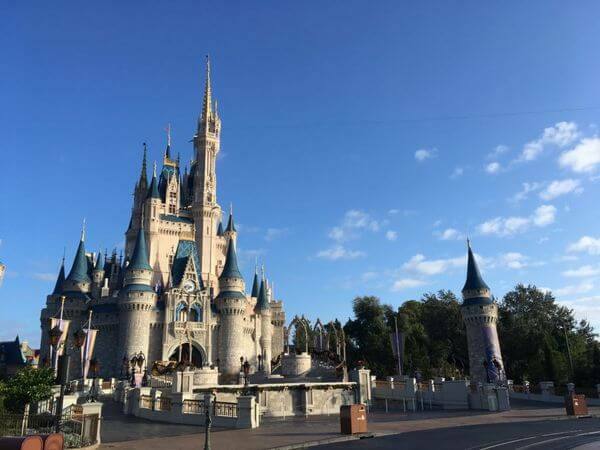 Disney Vacation Club members staying on Disney vacation points will NOT pay these fees. And Disney Vacation Club members who are staying at the Disney Vacation Club Deluxe Villa will also be exempt from the extra fees, regardless of how they pay! Beginning March 21, 2018, Disney World will charge guests for overnight self-parking at their resorts! Depending on which resort you stay at, you’ll pay up to $24 per night! Disney world already charges $22 per day for parking at the theme park. So this extra fee is more than a little annoying. But you can avoid this charge by booking before March 21, 2018. Any reservations made on or before this date will NOT have to pay the extra fee. Well, they want to keep you a Disney hostage, buying Disney food, staying on Disney property for every little thing, including snacks and milk and whatever else you might need for the kids. The transportation to/from the airport is free, so take advantage of that and bring boxed milk and lots of snacks, because Disney food is very expensive. Maybe order groceries to be delivered to your hotel and bring a cooler, so you can pack sandwiches for some meals. We stay at the Hilton SeaWorld, Marriott’s Cypress Harbour, and Hilton Parc Soleil via timeshare exchange, because I am pretty much over staying on Disney property. Good tips! It’s like going to a ball game, once your inside they can charge $7 for a hot dog.